Which came first, the chicken or the egg? You might say this age-old question is at the heart of what we do. When German zoologist Wilhelm Roux maintained embryonic chick cells in a saline solution in 1885, he demonstrated to the research community that tissue culture was possible. Arising from the work of Roux and other biomedical pioneers, scientists have made enormous advances in cell research in the past century. At PromoCell, we have developed cell culture and media since 1990 to empower scientists worldwide at the frontier of cell research. Today, we offer more than 7,000 PromoCell and PromoKine products. Under our PromoCell brand, we offer a broad range of human primary cells, stem cells and blood cells, as well as optimized products for cancer cell culture, including kits for 3D cell culture. 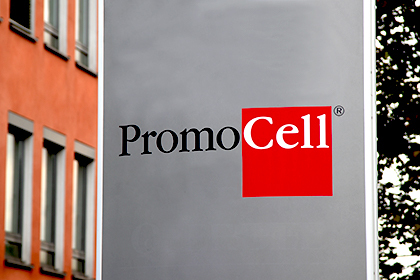 PromoCell supports your research with cells, cell media and kits of consistently excellent quality. Because our cells are accurate physiological models, you can be sure that they provide optimal results. And because our products are 100 percent reliable, you are certain to meet all quality standards. Our PromoKine cell biology products enable more in-depth analysis of your cells in culture, offering quality kits and reagents for cell biology, such as antibodies, ELISAs, cytokines, and growth factors. We look forward to fresh insights, advances and innovations from our research partners involved in cell analysis, cell transfection, and fluorescent labeling. Along with our certified, high-quality products, we offer professional training to help you deepen your scientific knowledge and sharpen your practical skills. We created the PromoCell Academy in 2004. Here you can attend courses on state-of-the-art trends, providing insights in the life sciences in a hands-on setting. You can choose from a growing collection of courses in German as well as in English. Modern developments in cell culture encourage us to look ahead to the next century, too. Our mission is to accompany you in your search for answers to age-old and new questions. As the research community continues to pursue discovery, we at PromoCell are here to empower your progress, and to contribute to scientific understanding.